Authorities are urging motorists to use caution when traveling through road construction zones as the spring tourism season reaches a peak and we approach the summer travel and construction season. Road construction accidents are a common risk throughout South Florida as these zones are dangerous for both motorists and road-construction crews working to accommodate the areas incredible growth. Typically, as the traffic begins to thin with the end of season, an increasing number of orange construction barrels begin appearing on the roads just in time for summer. Our injury attorneys in Fort Myers urge motorists to always slow down, pay attention and use extra caution in construction zones. These crews face long, hot days of hard work under the sun and remain among the most vulnerable construction workers in the state when it comes to the risk of serious and fatal accidents. The Federal Highway Administration reported nearly 100,000 work zone crashes in 2015 — an increase of nearly 8 percent over the previous year. Nationally, the number of work zone accidents has increased 42 percent since 2013. Each year, more than 100 road construction workers are killed in accidents caused by motorists. Part of the increase can be attributed to the improving economy — more road construction projects and more motorists on the road. 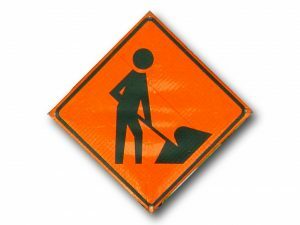 Motorists need to slow down promptly when approaching road construction. Rear-end collisions account for about half of all multi-vehicle accidents reported in construction zones. Speeding was listed as a top cause of collisions involving both other vehicles and road crews. Distraction is also a primary cause of collisions in construction zones. Motorists should avoid all distraction while driving — particularly distraction caused by electronic devices — but never is that truer than when traveling through road construction. Motorists may also be distracted by the construction itself and must take special care to keep attention on the road ahead as well as to watch for construction crew members or vehicles entering the roadway. The Florida Department of Highway Safety and Motor Vehicles is also reminding motorists to move over and slow down for stopped emergency vehicles. In January, the department reported 212 crashes and 17,000 citations for violating the move-over law in 2017. “It is imperative that motorists abide by the law and move over or slow down for these brave professionals so that they can do their job and Arrive Alive,” Executive Director Terry Rhodes said. Florida law requires motorists to move over a lane when it’s safe to do so and to slow down when approaching stopped emergency vehicles. F.S. 316.126 covers not only law enforcement vehicles but also sanitation, utility service vehicles and tow trucks and wreckers.